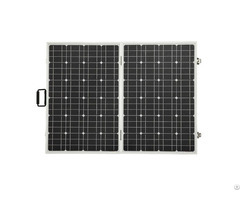 The Eco-sources series of portable folding solar panels are now in their 3rd generation design. The panels were originally designed for humanitarian purposes. It’s designed to charge a deep cycle battery or battery bank from which you can then power 12V appliances or 180~260V appliances with the use of an inverter. It’s widely used in camping, caravans, mobile homes, farms, beaches and deserts. 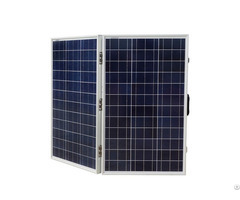 Now we have developed 80W, 100W, 120W, 160W and 200W mono and poly portable folding solar panel. 1. Easy Operation: open up the folding solar panel, face the sun, battery clips allows for simple connection to the battery. 2. Pre-installed controller and Pre-wired for 12V battery charging, you don’t have to add an extra controller. 3. Lightweight, and easy to carry. 4. Waterproof IP-65 Rated Junction Box: Advanced water and dust proof level (complete protection against environmental particles and low-pressure water jets). 5. Resistance to Salt Corrosion and Humidity. 6. 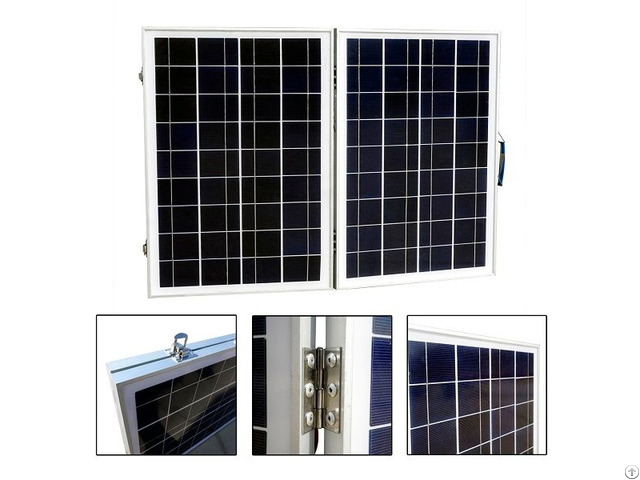 Corrosion-resistant aluminum frame for extended outdoor use, allowing the panels to last for decades as well as withstand high winds (2400Pa) and snow loads (5400Pa), Lightweight anodized aluminum frame and reinforced Safety and anti-reflection coated glass 3.2mm thick (tempered + patterned). 7.25-year transferable power output warranty: 5-year/95% efficiency rate, 10-year/90% efficiency rate, 25-year/80% efficiency rate 2-year material and workmanship warranty. 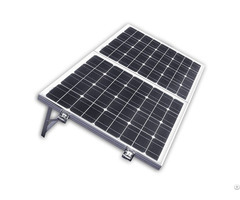 Eco-Sources foldable solar panels are Ideal for hiking, camping, and military use, off-grid solar panel system, caravan, RV, boat, greenhouse solar system, solar pump watering system etc.